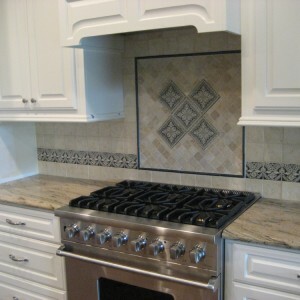 Backsplash Tile and Granite The movement in the granite combined with the highly detailed design of the backsplash tile are the focal point of this updated kitchen with existing cabinets that were painted with white spray enamel. 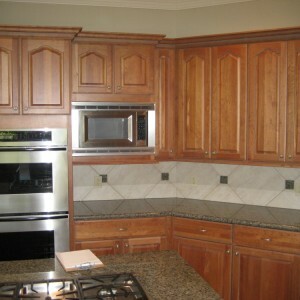 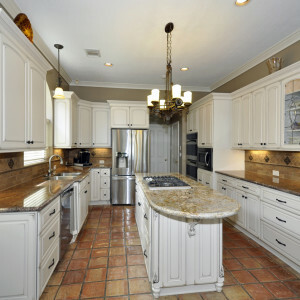 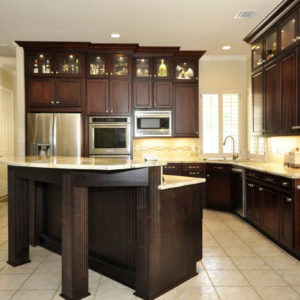 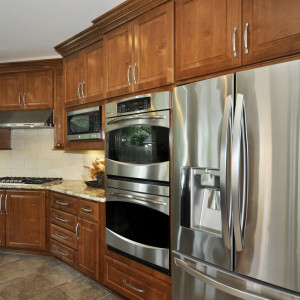 Kitchen Traditional cabinetry with arched door styles and light stain create an open, clean look. 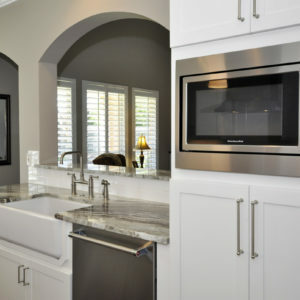 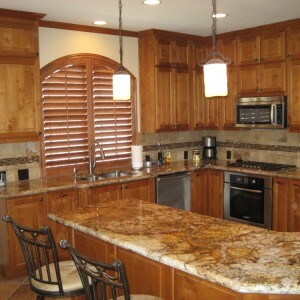 Notice that the decorative tile inserts in the backsplash are the same material as the granite countertop. 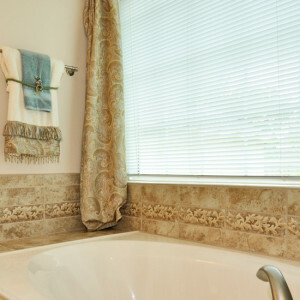 The glass doors showcase decorative glassware. 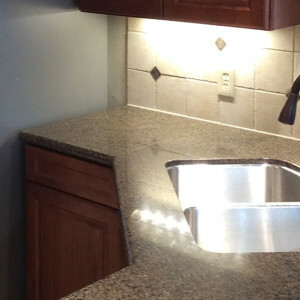 The desk area is now more functional and very useful for the homeowner who loves their new, updated kitchen.